Google's Gmail will soon launch a new feature that scans users' incoming mail to suggest three quick replies. Christened Smart Reply, the new facility uses machine learning technology to generate natural language replies on the fly to emails that need to be answered, Google said in a blog posting. · "I will have to look for it." · "I'll send it to you." The responses are short and not more than two lines. Users can select one of the three replies or write their own response. The feature will be rolled out later this week on both Google Play and App Store. "The network will tailor both the tone and content of the responses to the email you're reading," Google product management director Alex Gawley told Wired.com. 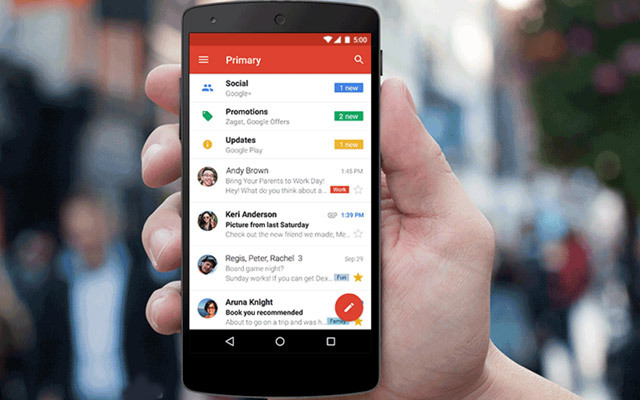 In April, Google had rolled out a unified inbox on Gmail for Android. Gmail's active user base crossed the 900 million mark in June. India is said to have one of the highest percentage of Gmail users globally. Google parent Alphabet Inc recently reported a 45.2 per cent rise in net income for the third quarter ended September 30 to $3.98 billion, up from $2.74 billion recorded for the same quarter last year. In August, Google, which has evolved from an internet search engine to a diversified tech giant, said it is creating a new holding firm named Alphabet to better focus on myriad businesses that straddle driver-less cars, video streaming, balloon-powered internet access, thermostat & smoke detector and more.